At Doral Toyota, we’re committed to helping local drivers find a car that perfectly matches their tastes. A big part of this job includes supplying you with the resources necessary to measure a car’s finest qualities as you shop. Drivers near Doral, Kendall, Hialeah, and Miami interested in learning more about what the Toyota Corolla has to offer need only look to this research library. Start reading now, and you’ll know exactly what to expect from it. Every car in the Toyota lineup brings something different to the table. The Corolla, being one of the more compact cars in the lineup, is a fuel-saver and an excellent commuter vehicle. Want to learn how? Just check out these reviews our team has compiled. In this library, you’ll find reviews that go over the full package, as well as reviews tooled to a specific facet of the car. For instance, we might take a deeper dive into the interior or into the car’s safety. We also offer up numerous comparisons. These articles pit the Corolla against other leaders in its sector, so that you can see how it outpaces the competition. All our research articles are free. Click any of the links on this page to get started! offers standard driver-assisting safety in every trim with Toyota Safety Sense™. has 97.5 cubic feet of total passenger space. offers Entune™ Audio infotainment in every trim level. 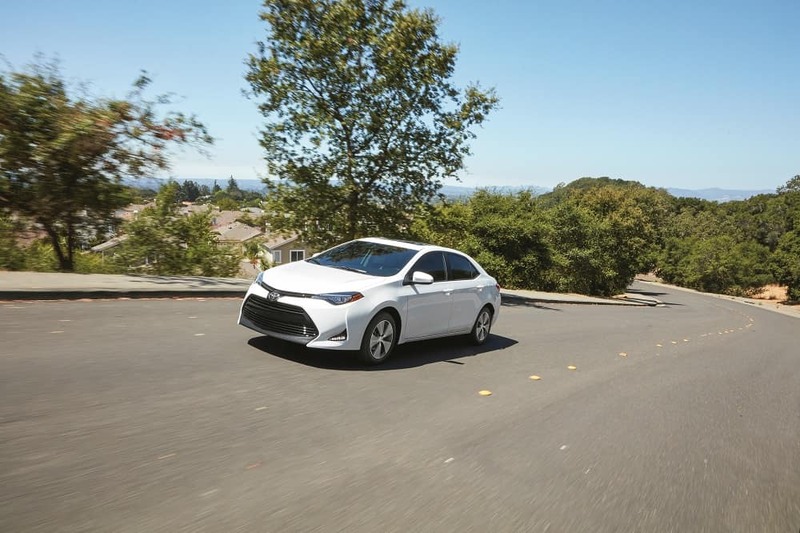 Learn More About the Toyota Corolla from Doral Toyota! You’ve done plenty of reading already, but you might still have a few questions about some of the features found in the Toyota Corolla. If that’s the case, then you’ll want to come see us at Doral Toyota. Our team will get behind the wheel with you so that you can take the car for a spin near Doral, Kendall, Hialeah, and Miami. During that time, we’ll answer any additional questions that you might have. Contact our team online or over the phone today to schedule your test drive!